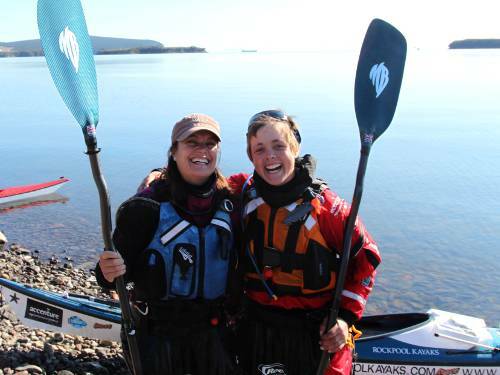 After a 7.5 hour crossing of 26 nautical miles in rough sea that Sarah described as her toughest to date, she and Justine have arrived safely on Sakhalin island. Well done Sarah Beautiful photos. 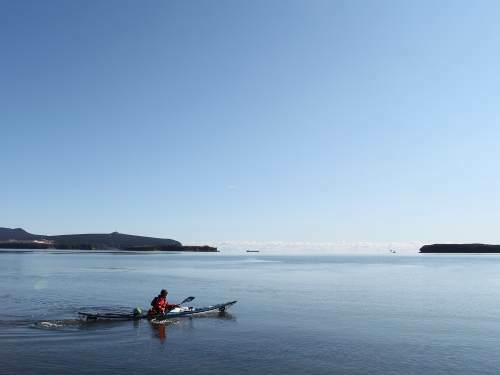 Now, as you are back on the water again, you look much happier! Brilliant. Your photos have made it look far too easy though! Brilliant!! Well done , it cant have been as easy as your photos make it look!!! Nick and I wish you all the best. Really pleased to hear you’ve arrived safely. 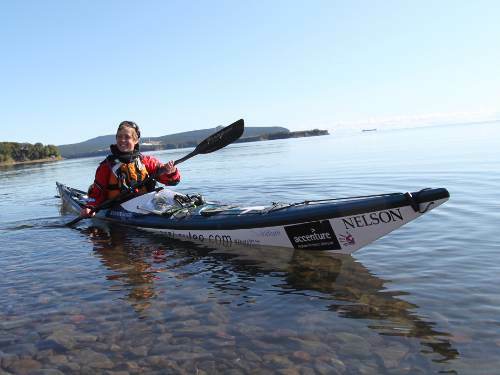 The photos make the sea look so calm, but I guess both hands were needed for the tough bits! You have my complete admiration. WOW stunning pictures! So glad the crossing went well. Looking forward to more updates. Mightily relieved to read that you’re safely across. How did your wrist fare? I can’t wait to hear more details about the crossing. I love the smiles on your faces when you landed. Well done! We are with you every step, row and cycle of your journey and look forward to each new blog.” A dip in the ocean” was a fantastic read and we hope there will be a follow up after this adventure. Good Luck. P. S. We met at Guildsfield when you spoke of your first adventure. big congrats,slowly slowly catchy monkey,enjoy your vistas and new horizons,drink the experience in ,savour it.this is travel,keep your body healthy and mind active ,you are alive and living a full life,do not rush for anything other than safety.enjoy hats off. Great to hear that you are safely across, the grin gets bigger and bigger. Very well done. Just take care. Looking forward to your next part and hearing of your adventure. A great inspiration ot all of us back home.